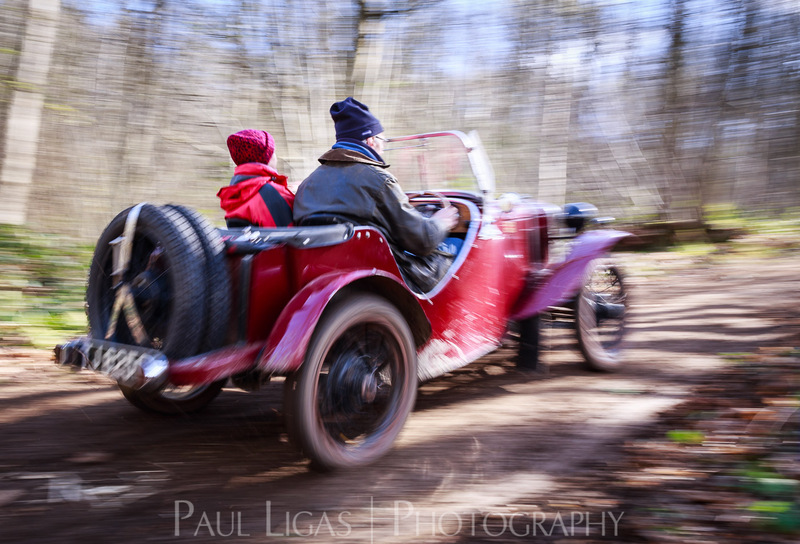 A couple of weeks ago my wife and I noticed a sign at the entrance to Frith Woods, near Ledbury, saying that permission had been granted by the Forestry Commission for a vintage car rally to be held in the woods on Sunday 19 March. We know the woods well, as we walk our dogs there regularly, and I decided that it would be an interesting event to get some photographs of. 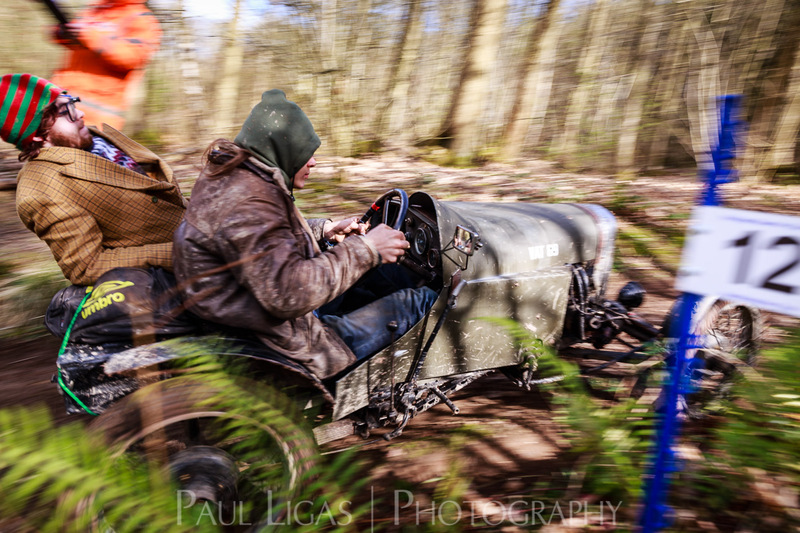 So after breakfast last Sunday, I walked into the woods with my camera to find the action. 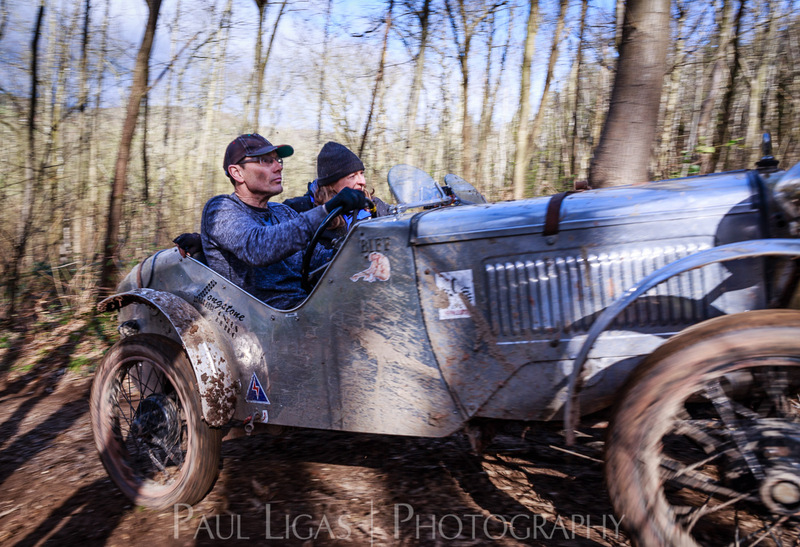 I came across a group of people and their vintage cars where I spoke to Andrew Tarring, the Non-Speed secretary at the Vintage Sports-Car Club who were running the event. Andrew gave me some of the history of the club and explained how the event worked. 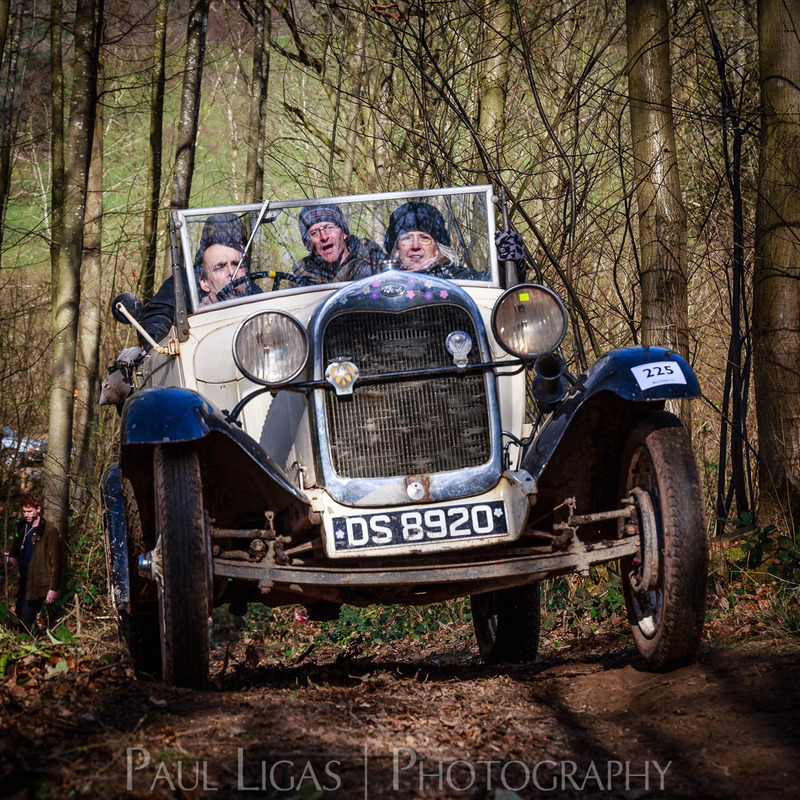 There were three hill climbs in Frith Woods, the second stop of three in the Herefordshire event, which is just one of many across the UK throughout the year. 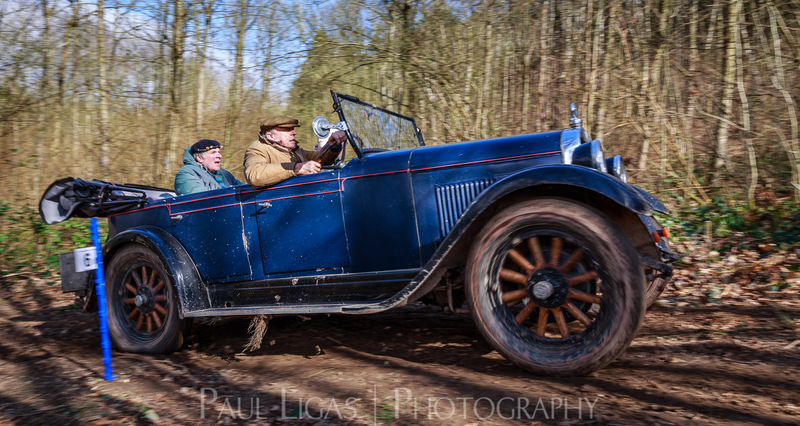 The events serve not just as a way of ensuring these vintage cars are still used, and not just sitting in a museum or garage, but are also social events, with some entire families showing up for a weekend touring around the country. I was surprised by how much battering people voluntarily put these beautiful old cars through, but I was told that old cars are much more simple than modern ones and can (usually) be easily repaired. 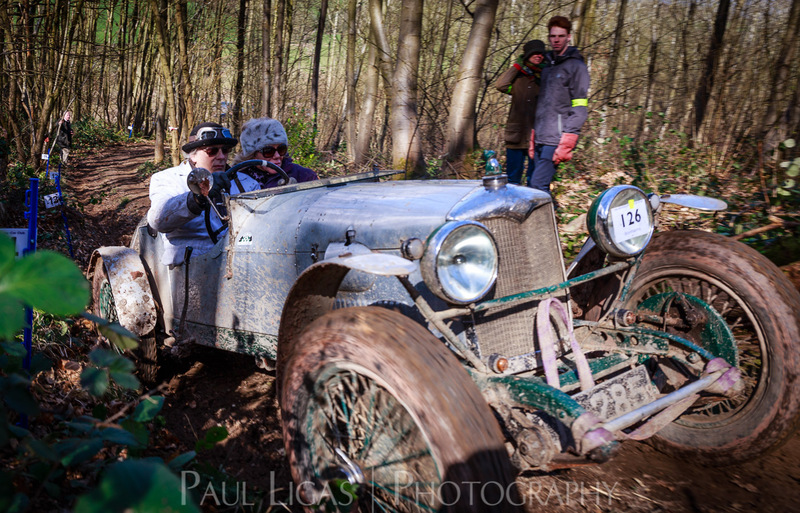 In the hill climbing event, points are awarded according to how far up the hill a car can climb, but unfortunately (for the scorers) it had been quite dry in the week before so many cars were able to climb to the highest marker. This made choosing a winner more difficult. I hope they managed so figure it out, but I suspect that for many taking part was just as important. I’m really pleased that I went along to see what it was all about, to see some lovely old cars actually being used, and to meet some friendly and interesting people. 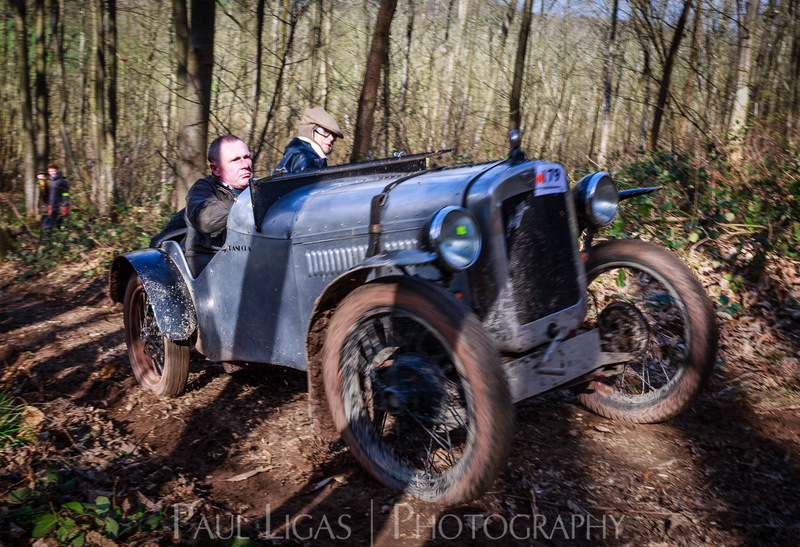 Paul Ligas is a professional commercial photographer based in Herefordshire, working across the West Midlands and the UK. Follow on Twitter, Facebook and Instagram, and connect on LinkedIn.